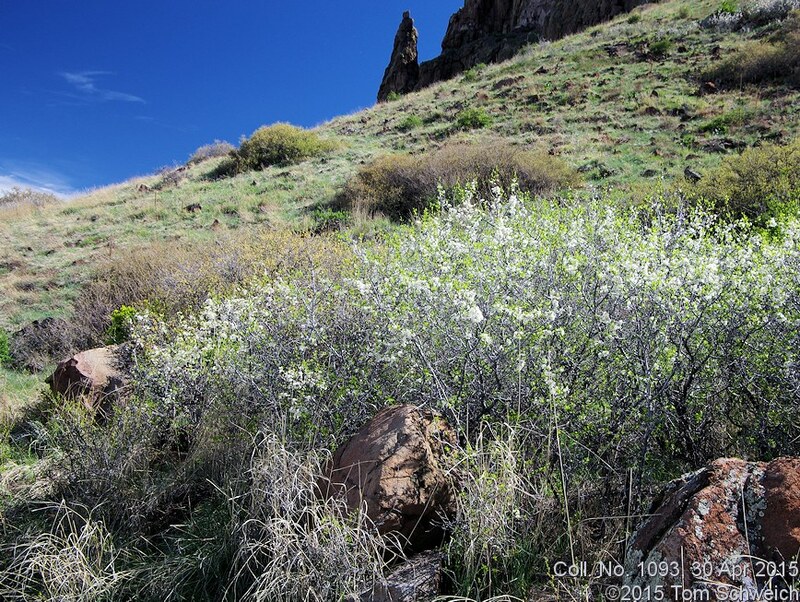 North Table Mountain Trail, City of Golden, Jefferson County, Colorado: at Coll. No. 1093. Field Notes: Coll. No. 1093, 30 Apr 2015. Other photos about Species - Rosaceae or Rosaceae Prunus americana.